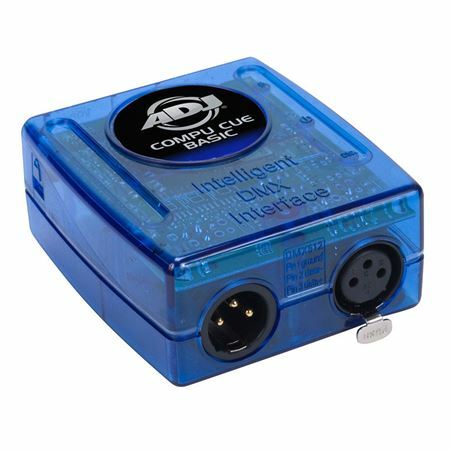 Order your ADJ Compu Cue Basic Lighting Controller from AMS and enjoy 0% Interest Payment Plans, Free Shipping, Free Extended Warranty & 45 Day Money Back Guarantee. 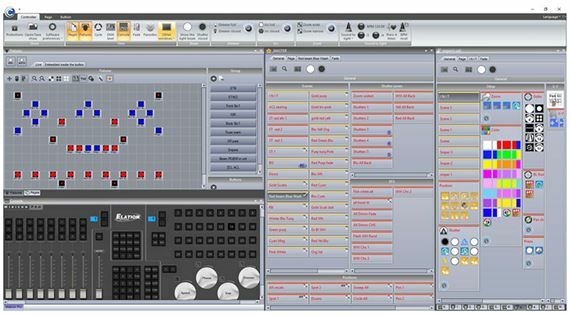 A powerful DMX control software, the ADJ Compu Show helps lighting designers program sophisticated lightshow at their fingertips directly from their computer. Compu Show comes with many great features making lighting design quicker and easier than before. For instance, the EasyTime editor is based on a timeline. Thanks to this tool, it becomes very easy to build your show. Various effects, either static or dynamic (matrix effects, shapes...) are available and can be dragged to the timeline. 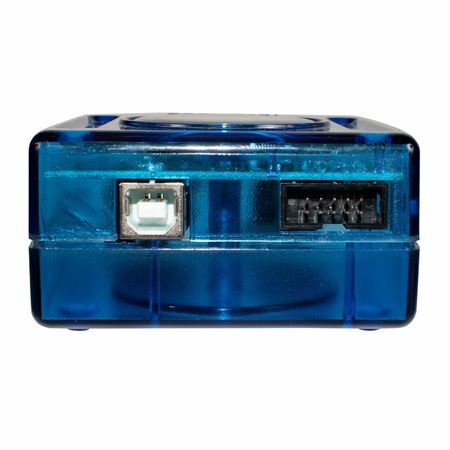 Whether you are controlling moving heads or LED strips, this is the perfect tool. Palettes are also now available for positions, colors, beams or any other channel type that you wish to have palettes for. If a scene has been created using palettes, it can quickly be updated by editing the relevant palettes. Fixtures can be grouped, allowing for several fixtures to be controlled simultaneously on the fly. New CLEAR ALL and AUTO RELEASE functions allow for live edits to be quickly reset. This toolbar offers master control of your fixtures‘ light beam. The toolbar gives you control of the dimmer, zoom, shutter, and the iris. The new cycle, or cue list, editor has a timeline built in. You can drag and drop buttons on the timeline to easily program cycles. ADJ Compu Show software is compatible with Compu Cue Basic, Compu Cue and Compu SDE interfaces. Compu Show also comes standard with powerful 3D Visualization software, 3D Easy View, which allows you to easily create a scenario of your imagination using Studio 3D object formatting. 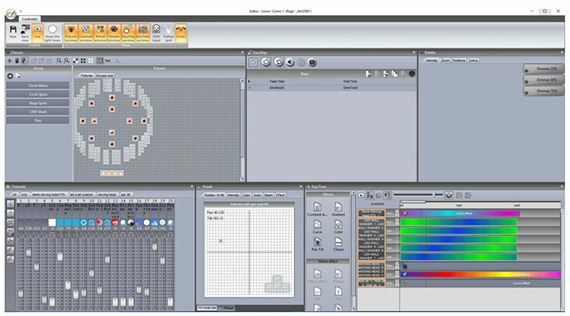 Basic Objects and truss structures are included to help in getting started right away, and lighting fixtures are instantly inputted as soon as you create a page in the Compu Show software. Compu Cue Basic and Compu Cue interfaces allow for limited 3D visualization while the Compu SDE interface allows for more advanced features include; 3D video with positioning, 2D set up views, report management printing (which allow you to print out wire frame CAD drawings which, include position and DMX channel charts).